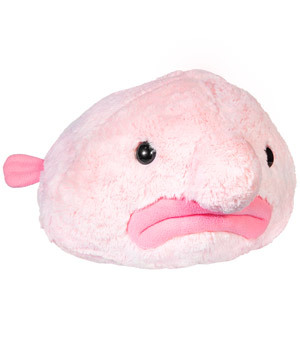 Blobfish: Ugly-cute super-soft stuffed animal. Does the blobfish have a future in modeling? Definitely not. 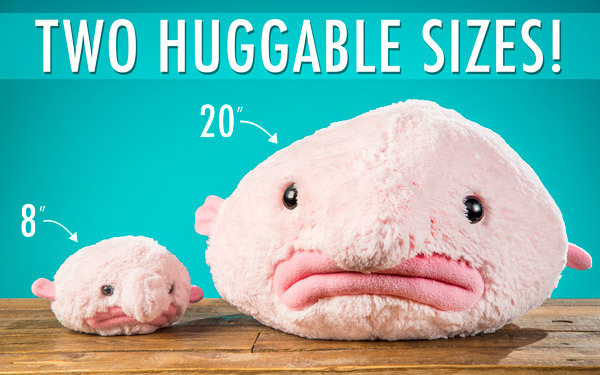 But is this blobfish stuffed animal totally huggable? You betcha! 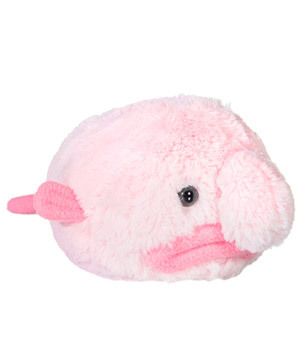 Modeled after an incredibly ugly underwater animal, this pink plush exudes a so-ugly-it-needs-to-be-loved quality that you have to feel to believe. True animal lovers get it. Part of the appeal of the blobfish is that it’s such a bizarre animal. It has gelatinous flesh and no skeleton, so it turns into a floppy bloated blob when removed from its natural ocean depths. 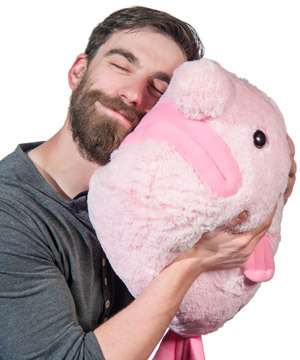 This blobfish plush is just as goofy and gross as the real thing, but it’s infinitely softer. So squeeze it, hug it, lay on it, or toss it in your room for a frowning fish that will always make you smile. It’s a big blob of squeezable plush! Just how gross do you like your blobfish: a little or a lot? 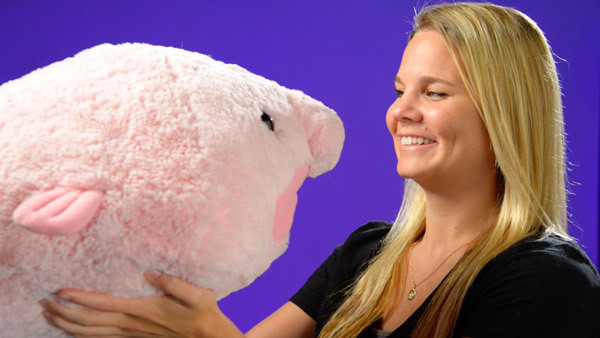 You can choose a giant, overstuffed pillow-sized blobfish or a miniature desk-and-shelf companion. They both look equally disgusting, so choose the one that fits your blobfish lifestyle needs. Hideous comes in all sizes. Question: How big is the nose? Answer: The nose of the bigger blobfish is about the size of an adult man’s fist. The nose of the smaller blobfish is about the size of a racquetball. Question: Are these as soft as the Squishables? 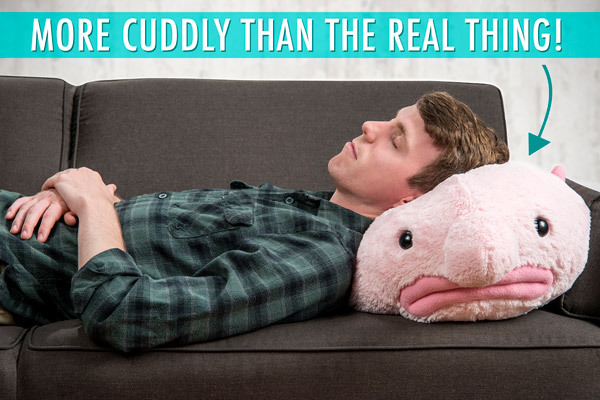 Answer: While the Blobfish is made by a different manufacturer than Squishables, our professional cuddlers have confirmed that the Blobfish is just as squishy-soft and huggable.